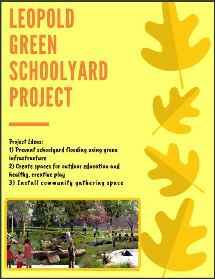 1000 Friends is working with the community at Aldo Leopold Elementary School to develop a safe and welcoming green schoolyard there. Because Leopold School is in two watersheds (Lake Wingra and Lake Monona watersheds) this is also an important natural resources protection project in south-central Wisconsin. 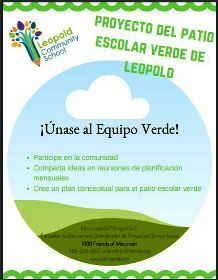 1000 Friends is working with Leopold parents, teachers, students and surrounding community members to increase the schools capacity for outdoor environmental learning and creative play on its schoolyard. 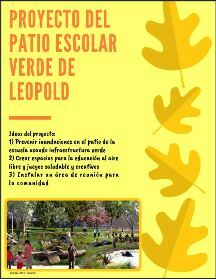 We are working directly with parents and teachers at Leopold School as part of the Leopold Green Team. 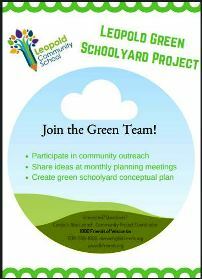 The Green Team is the leadership and planning committee that is spear-heading the green schoolyard efforts. Leopold students will also be involved throughout this project- during the planning phases and through an environmental education curriculum. While 1000 Friends will lead the project, the Green Team will be the leader within the community and will make the final decisions on development and implementation. 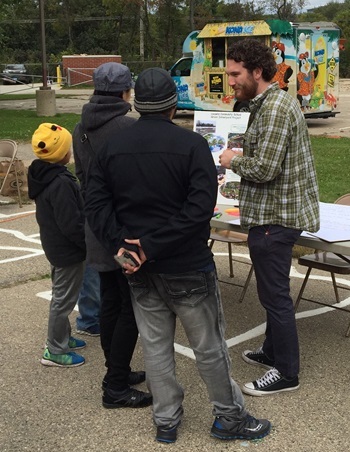 Design and install a community gathering space for community events, dinners, festivals, etc. 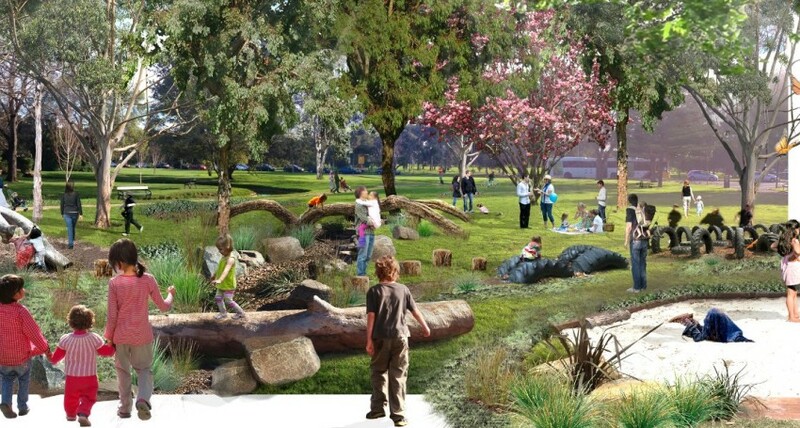 Rendering of playground with green infrastructure by Alex Ricketts. Increasing children’s exposure to the outdoors is important for their mental and physical health and academic performance. Research compiled by the Children and Nature Network shows that children have better academic outcomes, more creative options for active play, increased occurrence of beneficial/cooperative play, and greater mental health from exposure to green schoolyards. 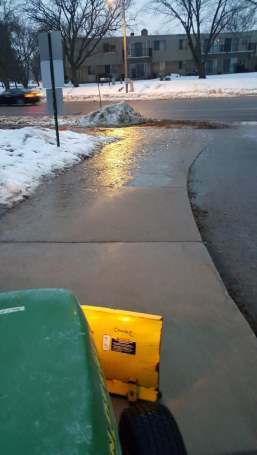 The Green Team has been meeting since winter 2018. We have been brainstorming project ideas for the schoolyard. As proposals are brought up, they will be shared with teachers and students to ensure they will be used once implemented. Leopold Elementary School is one of four designated Community School’s in the Madison Metropolitan School District (MMSD). Leopold is the largest elementary school and has the most diverse student population in MMSD. To find out more information about Leopold, head to their website or go to their Facebook page. Green schoolyards bring learning and play to life. They split the schoolyard into different worlds that kids can explore through outdoor learning and healthy and creative play. These hands-on, multi-sensory landscapes benefit users and the surrounding environment. Learn more at: http://www.greenschoolyards.org/living-school-grounds. 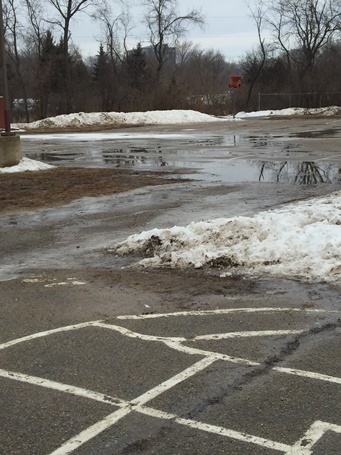 Thawing conditions at Leopold’s schoolyard causes flooding and muddy play areas.